It's not just the scent itself that makes a difference (there's five of them to choose from!) — it's about what's tucked inside the candle wax. 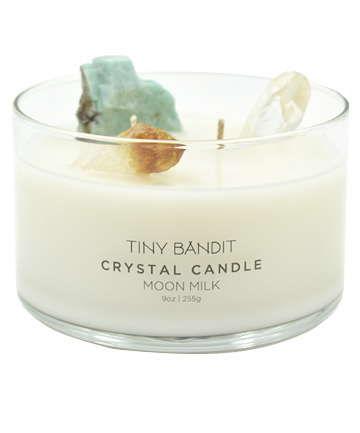 Each candle comes with crystals that have been cleansed with pure Himalayan sea salt and charged in the California sun. Yep, we aren't kidding! There are different crystals to choose from to meet your needs, though all the candles come with a clear quartz crystal to ward off negative energy and increase energy levels.